After becoming one of the top service providers for GIS services and mapping solutions in Europe, the Swiss company Novasys SA needed a new suitable presentation on the Internet. The advertising agency unleashed mind focusing on online marketing and e-business is proud to announce the relaunch of their new website. 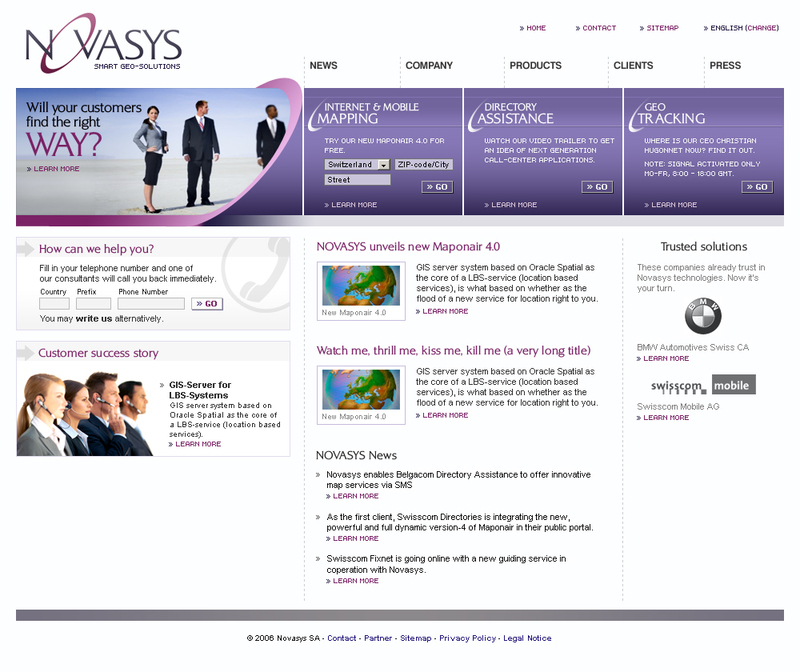 Fulfilling international demands, maximum scalability and customizability, Novasys now has as a flexible content management system supporting unlimited languages and users, along with a modern and technology oriented design that can be used to publish any kind of content. We are looking forward to a trend-setting future with Novasys.